Are Ohio Workplace Intentional Torts Against Employers Dead? The Ohio Constitution and workers’ compensation laws grant the employer immunity from negligence lawsuits brought by employees who suffer injuries in the course of and arising out of employment with that employer. The first exception is where there is a non complying employer who fails to establish or maintain workers compensation coverage or fails to pay its workers compensation premiums at the time of the work injury. The second exception has been for an employer intentional tort which causes injuries to the worker. An intentional action by the employer, from 1982 to 2005 required that the employee prove that the employer had actual knowledge of the exact dangers which caused the injury by showing:(1)the employer had knowledge of the existence of a dangerous process, procedure, instrumentality or condition within its business operation (2) that if the employee was subject to such dangers then harm to the employee will be substantially certain (3) that the employer, under such circumstances, and with such knowledge, did act to require the employee to continue to perform the dangerous task. Under a series of Ohio Supreme Court cases it was not required to prove that the employer deliberately and purposefully caused injuries to the employee. This all changed in April 2005 when the Ohio legislature passed a law which defined “substantial certainty” as an act by the employer with deliberate intent to suffer an injury, a disease, a condition, or death. This definition made it virtually impossible for an employee to meet his/her burden of proof unless the employer committed a deliberate act such as hitting the employee over the head with a 2×4. There was, however, one exception under the statute which kept some aspects of these intentional tort cases alive for the injured worker. The new law established a rebuttable presumption of intent to injure if the employer deliberately removes an equipment safety guard or deliberately misrepresents the nature of a toxic or hazardous substance. A conservative Ohio Supreme Court upheld the constitutionality of the new statute. Furthermore, the Ohio Supreme Court held in 2012 that the employee must prove that the employer deliberately intended to cause injury to that employee. This case coupled with the statute essentially wiped out workplace intentional tort actions although the one exception as noted above appeared to remain somewhat intact although the Court continues to restrict the definition of what constitutes an equipment safety guard. However, unless the employer is fairly large with considerable assets and cash flow, it is becoming increasingly difficult to successfully recover monetary damages for serious injuries caused by the employer’s removal of an equipment safety guard, etc. In the past, employers often paid additional insurance premiums for what is known as a “stop gap endorsement” under their commercial liability policies for workplace intentional tort actions. Ohio courts permitted this type of coverage for injuries “substantially certain” to occur as the employer’s actions leading to the employee’s injuries did not arise to “deliberate intent” It is against public policy in Ohio to permit insurance coverage for deliberate acts. Thus, if an individual is deliberately run off the road and suffers injuries based upon the defendant’s “road rage” it is likely that the defendant’s automobile insurance company will deny coverage based upon a policy exclusion for deliberate actions by the defendant driver. The same is true with business commercial liability policies. However, it was thought by Ohio employers and personal injury attorneys that insurance coverage remained for workplace intentional tort injuries caused by the employer’s removal of an equipment safety guard as it appeared that the legislature created a “substantial certainty” test which is not the same as deliberate intent to injure an employee. Unfortunately, an ultraconservative Ohio Supreme Court in the 2015 Hoyle case held that whether the injured worker established the employee’s intent to injure by direct evidence or by an unrebutted presumtion(removal of an equipment safety guard) the employee could only prevail by showing a deliberate intent to injure by the employer. Therefore, any insurance policy which excluded coverage for deliberate intentions to injure meant that the insurance company was not legally or contractually obligated to defend the employer or to pay on a workplace intentional tort case. 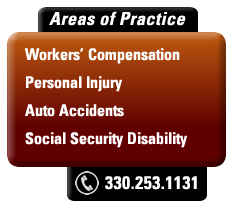 Therefore, the injured employee must seek monetary recovery solely with the employer. Most Ohio employers are small to medium in size and usually do not have substantial cash available for fair and reasonable payments for serious injuries. The employer might be able to come up with some type of relatively small payment(s), or, may believe that, in its best financial interest, it should file for protection under the Bankruptcy laws which will either wipe out collection on a workplace intentional tort judgment or result in a much lower payment to the injured employee. In conclusion, workplace intentional tort cases against employers are basically dead in Ohio. The only exception might involve a self-insured employer(large employer) which deliberately removes an equipment safety guard which directly causes serious and permanent injuries to its employee, and which employer can fully pay any judgment against it or can settle the intentional tort case for a fair and reasonable amount.It is also important to remember that if the BWC made payments for injuries under the employee’s Ohio workers compensation claim, it will want to be paid back out of any monetary recovery on the intentional tort case based upon its statutory subrogation right to recovery. ©2018 Pavick & Pavick L.P.A. All rights reserved.